Since I seem to be writing in circles around myself about how I am afraid of writing, I have decided to try something a bit more structured than the Pagan Blog Project (which I plan on continuing to the best of my ability). Yesterday an acquaintance of mine, Meirya from Beyond Awakening, posted their version of the 30 Day Non-Human challenge, which I find much more palatable than the pre-existing one. (I really do not think your favorite kinds of cake and pie belong on a meme meant to provide focus on self exploration targeted at one’s core identity). It has been called the 30 Days of Otherkin challenge. Now, I have already said that I am not a big fan of calling myself otherkin. The tl;dr version for that is because I find the term limiting; am not a fan of or active in the community as a whole; and feel it devalues a longstanding tradition of divinity-made-flesh by dressing it up in unnecessary, foreign ways (this really only applies to a small subset of the otherkin community). But it is useful in finding others out there like myself in the vastness of the world wide web, and am rather fond of Meirya in general, as well as the way this meme has been handled. So I am going to take the 30 Days of Otherkin Challenge, along with the 30 Days of Paganism Challenge. (I cannot find the original source for the latter, so am linking one version of it; if anyone knows the original so I can give proper credit where it is due, I would appreciate it!). I do not expect to actually write one post for each challenge per day, but would like to tackle at least one per challenge, per week, at minimum. I will be fixing my blog header up soon for links much like I have the PBP set up. Is anyone else going to take either of these challenges? Have you already made posts, or even completed them? I would love to hear from you! Feel free to leave your links in the comment section for me to check out. This entry was posted in Uncategorized and tagged 30 Days of Otherkin, 30 Days of Paganism, Admin. Bookmark the permalink. I very nearly wrote “otherkin+” instead of “otherkin”… because I get tired of typing “otherkin/therian/etc” over and over. It’s like “LGBTQ+”, eventually I just get tired of the alphabet soup and start saying “queer” as an all-inclusive term. Maybe we should have an otherkin/etc alphabet soup or a better umbrella term. ;> I just use otherkin as an umbrella term, nowadays. Oh jeez, I can relate to the LGBTQ+ thing, too. I fall under that umbrella, and get so frustrated when I try to say it outloud, because I cannot keep all the letters straight and wind up going “L…g…..you know what I mean, that thing!”. I think of otherkin as an umbrella term, too, because there really is not a better umbrella term out there for the community, that I know of. But my patience with the community as a whole has decreased steadily over the years, thus my kind of semi-skirting away from fully including myself, even though for all intents and purposes I am already rooted there in parts (yay, chat?). So that is all it is from my end, I think your titling it that way fits and is also very searchable, which is a big plus. And thank you for writing it! I usually will say QUILTBAG when referring to LGBTQ+ stuff. though I’m pretty likely to just call my own self queer because otherwise complicated sexuality is complicated and gets into tl;dr territory to explain. I would do the 30 Days of Paganism challenge but I would have to massively retool the list for me to talk about anything. I might though, if I can tweak it around a bit. I’m doing some of the ’30 Days of Paganism’ challenge – although I’m finding that I’ve already written about many of the subjects, so I’ll be skipping some. Looking forward to reading your offerings! That sounds really good! I feel like I have also written some on the questions, but I do not think I will really know until I start answering them. 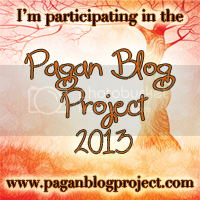 30 Days of Paganism is something I’m considering, for sure, thanks for the link. As far as the Otherkin challenge, I have to wonder if SoulBonding and FictionKin count. I suppose asking the creator is the thing to do there, heh. I think there are some other Paganism memes out there, too, I saw earlier today. So I might also do those. Having prompts really seems to help me write. You could ask Meirya about whether soulbonds and fictionkin count, but I personally do not see why they would not.They are definitely part of the community at large. If you want to do it, I say go for it!